Eric & Pupus are a pretty prickly couple. 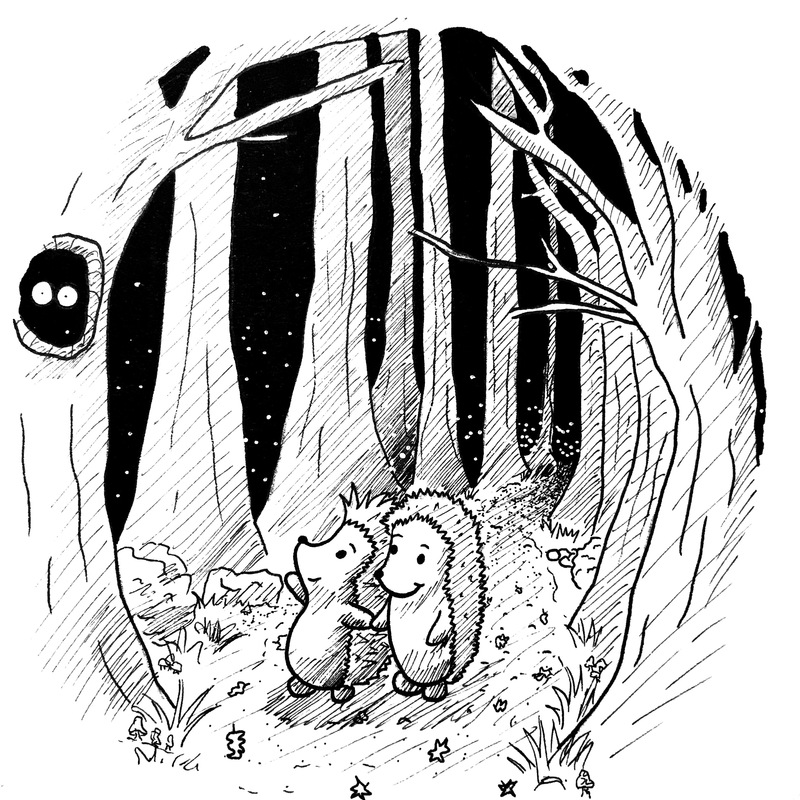 They take a nice evening walk through the dark forest. The sound of dry leaves rustling beneath their tiny feet makes them smile. They like to watch the dance of the fireflies between the trees.